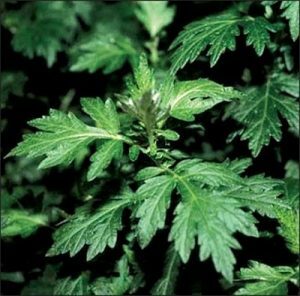 Active constituents: Mugwort contains a volatile oil, a sesquiterpene lactone, flavonoids, coumarin derivatives and triterpenes, tannins and bitter principles. Toxic in overdose. and excessive dose can cause epileptic spasms. Can also increase menstrual bleeding to a dangerous level. Can act on the uterus to cause abortion.